If you haven’t (yet) taken a cruise to Alaska, you probably haven’t seen a bald eagle in the wild. 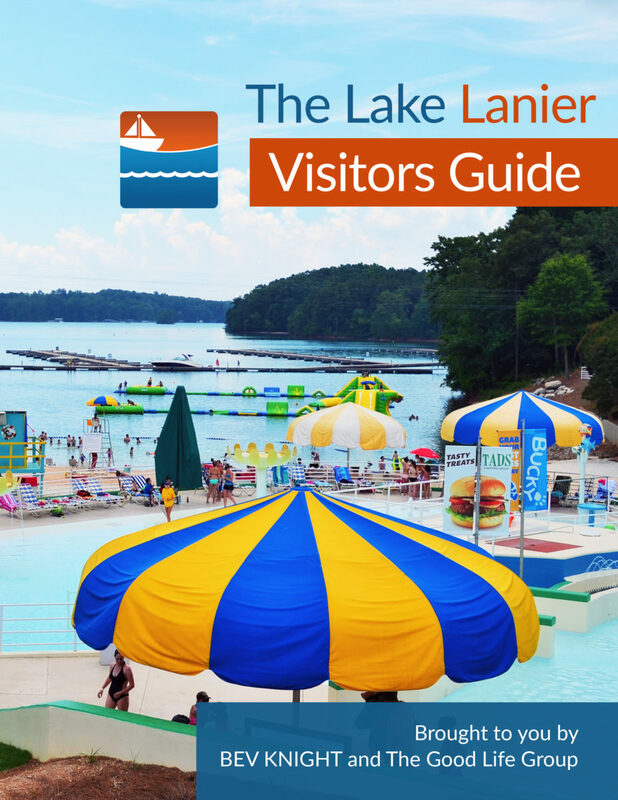 Yes, several have been sighted around Lake Lanier. Now, one resides at Don Carter State Park. Who doesn’t love to see robins in the spring or hear barred owls ask, “Who cooks for you? Who?” We all become a bit of a birder when we hear of an opportunity to see a majestic bald eagle around Lake Lanier. A short trip to see one at Don Carter State Park, at the upper reaches of Lanier on the Chattahoochee, is an easy way to add a rather rare bird to your life list. The bald eagle has been the emblem of the United States of America since 1782 — a majestic creature that honors our great nation. Living near a constant source of water, bald eagles feast on fish, ducks, snakes and turtles. They will also eat rabbits, muskrats, and dead animals. Utilizing their acute sense of sight and powerful talons, bald eagles attack their prey by swooping down on them at an angle. They can reach speeds of up to 160 km/hr (100 mph) when diving. Once they capture their prey, they use their hooked beak to pull flesh out before eating it. With a wingspan of about seven-feet and an unusual white head, even a high-flying bald eagle stands out in clear skies. The famous “Greek Freak” Milwaukee Bucks basketball player, Giannis Antetokounmpo, has a similar wingspan of 7’3″, but he only appears to be flying when he dunks atop other giants on the court. Watching bald eagles take flight is even more spectacular. Say hello to Don Carter’s resident bald eagle. These majestic creatures’ numbers have been steadily climbing after reaching an all-time low in the mid-20th century. Over the past few decades conservation efforts have seen these birds removed from both the endangered and the threatened species lists. An opportunistic carnivore, these eagles feed mostly on fish, making Lake Lanier an ideal habitat. Wondering how disappointed you’ll be if our fine feathered friend is out fishing when you visit? Tsk. There are so many trails, sights, playgrounds, fishing spots, kayak launches and picnic areas that you won’t mind a bit.